FREE COMMUNITY EASTER EGG HUNT!!! 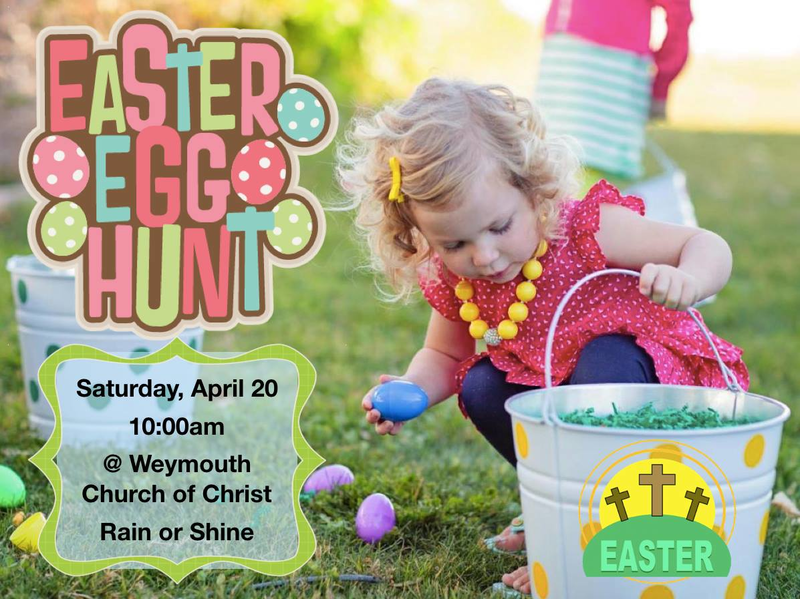 We have over 1000 plastic eggs, plus hundreds of loose chocolate to give away, along with a snack, Bible story and a ton of fun!!! The egg hunt itself is for children up to age 12, but the event is fun for the whole family! All Welcome. Spread the word! Don't be late, it's a fast hunt!